Twelve-year-old Shaun (Thomas Turgoose) lives with his mother in a shabby council flat in a bleak northern town and is lacking direction after losing his father in the Falklands War. After standing up to teasing at school he earns the respect of group of kindly, multiracial skinheads, the leader of which Woody (Joseph Gilgun) takes him under his wing. 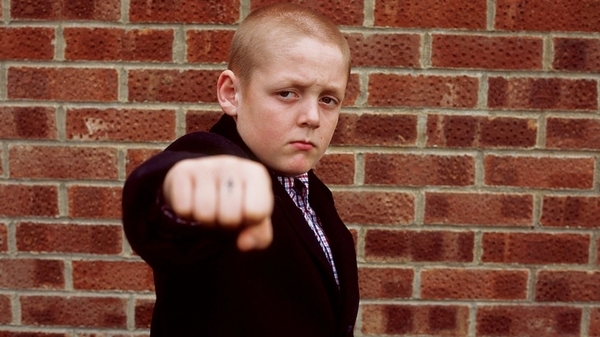 Part of the gang and enjoying hanging out with his new friends, Shaun begins to question his identity when the gang splits into two factions after the arrival of Combo (Stephen Graham), a racist ex-convict, whom unfortunately the young Shaun begins to look upon as a father figure. Meadow’s human drama captures a real sense of authenticity in the greasy-spoon cafes and at rowdy house parties its colourful characters inhabit, and with superb performances from its largely young working class cast, brilliantly evokes the working-class despair of the Thatcher era.